To devote myself for the welfare of whole mankind through working as a university teacher and researcher. Research publication No.18: MSH Sarker, SMK Hasan, MN Ibrahim, N Ab Aziz, MS Punan. Mechanical property and quality aspects of rice dried in industrial dryers. Journal of Food Science and Technology 54 (12), 4129-4134. 2017. Research publication No.17: MF Ahmed, MZ Islam, MSH Sarker, SMK Hasan, R Mizan. Development and performance study of controlled atmosphere for fresh tomato. World Journal of Engineering and Technology 4 (02), 168, 2017. Overall energy requisite and quality feature of industrial paddy drying. Drying Technology, 33: 1360â€“1368, 2015. Research publication No.13: M.S.H. Sarker, M.N. Ibrahim, N. Ab. Aziz, M.S. Punan. Application of simulation in determining suitable operating parameters for industrial scale fluidized bed dryer during drying of high impurity moist paddy. Journal of Stored Products Research. Vol.61, Pages 76-84, March, 2015. Drying kinetics, energy consumption, and quality of paddy (MAR-219) during drying by the industrial inclined bed dryer with or without the fluidized bed dryer.Drying Technology. Vol. 31, pp. 286-294, 2013. Research publication No.8: M. S. H. Sarker, S. M. K. Hasan, M. G. Aziz, M. T. Islam, S. M. R. Azam, S. Royand M. N. Ibrahim. The Effect of Processing Treatments on the Shelf Life and Nutritional Quality of Green Chilli (Capsicum annuumL.) Powder. Pertanika Journal of Tropical Agricultural Science. 3 5(4), 855-864, 2012. Research publication No.6: K. Parvin , M. G. Aziz , Y. A. Yusof , M. S. H. Sarker and H. P. Sill. Degradation kinetics of water-soluble annatto extract and sensory evaluation of annatto colored yoghurt. Journal of Food, Agriculture & Environment. Vol.9 (3&4): 139-142. 2011. Research publication No.5: S.M.K. Hasan, M.A. Hoossain, M.J. Hossain, J. Roy and M.S.H. Sarker: Preparation of biscuit from jackfruit (Artocarpus heterophyllus) seed flour blended with wheat flour. The Agriculturists: A Scientific Journal of Krishi Foundation. Vol. 8, No. 1, Page 10-18, 2010. Research publication No.4: SMK Hasan, M.S.H. Sarker and MN Islam: Design and development of a domestic air blast refrigerator. International Journal of Bioresearch. Vol. 2, No. 6, Page 28-35, 2009. Research publication No.3: SMK Hasan, MM Alam, M.S.H. Sarker and MR Ali: Performance evaluation of a direct seeder imported from Vietnam. International Journal of Bioresearch. Vol. 2, No 4, Page 6-10, 2008. Research publication No.2: M.S.H. Sarker and S M Farouk: A study on steam boilers used for rice processing mills in Bangladesh. Journal of The Institution of Engineers, Bangladesh.Vol.30/AE, No. 1, Page 81-88, 2003. Research publication No.1: M.S.H. Sarker and S M Farouk: A field level investigation on the status of equipment, energy and labour utilization of some semi-automatic rice processing mills in Bangladesh. Bangladesh Journal of Agricultural Engineering.Vol.12 (1 &2), Page 87-94, 2001. M. S. H. Sarker, M. Nordin Ibrahim, Ab Aziz, N., Mohd. Salleh, P. Comparison of performances of industrial scale inclined bed paddy dryers. International Conference on Agricultural and Food Engineering for Life (Cafei2012), 26-28 November 2012. Md. 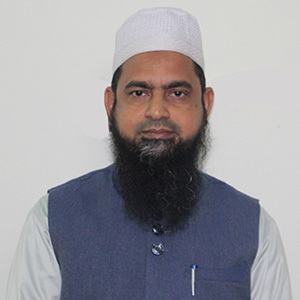 Sazzat Hossain Sarker, Mohd Nordin Ibrahim, S.T. Chan. Batch drying of paddy with intermittent mixing of grain bed. Proceedings of the Regional Engineering Postgraduate Conference- 2009, 20-21 October 2009. Description: The duration of this project was from July 2002 until June 2003. A low cost smoke free fuel has been successfully developed which is suitable for tea stall and domestic use . A comprehensive report has been submitted to the respective Ministry. Processing and preservation of tomato, brinjal and green chili. Description: This project has been successfully completed. A simple and economic technique for preparing green chili powder has been developed. One article has been published in ISI and Scopus indexed Journal. Description: The research works of this project have been started from March 2017. The aim of this project is to design and develop energy efficient dryer for drying of high moisture grain specially maize. Description: This is a one year project from May 2018 to April 2019. Appropriate drying technique will be invented which will yield quality milled aromatic rice. Description: This is a three year research project from November 2018 until October 2021. Suitable low cost storage structure and various packages will be developed for storing and transporting local fresh fruits and vegetables.